… from Dr Andus. See here. This is especially useful for scholars, I suppose, but it also shows the power of Connected Text. 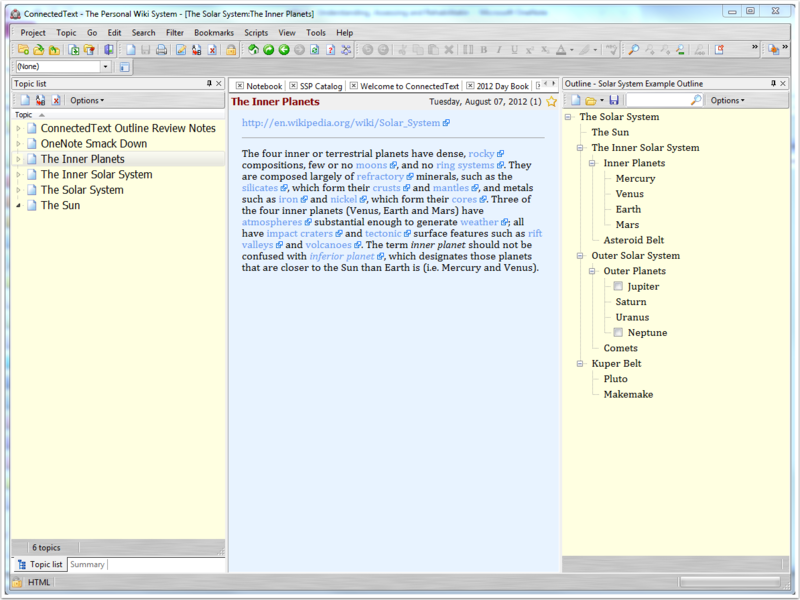 This is the long-awaited review of the outliner in ConnectedText. I’m not going to actually make this part of the OneNote Smackdown, because it has been too long since I was in that mind frame and I can’t reproduce it well enough to do an accurate comparison. But outlining in CT is interesting because there are some unique wrinkles, so here we go. Really there are two ways to outline in CT. I’m going to start with and concentrate on the dedicated outlining window, but I’ll cover the second way within this context toward the end of this review. The unassuming little outline view with a new outline. The window can be free floating or docked to the main window and opens in the position it was in when you last closed it. Use the CTRL-Enter key combination to create your first item. Type your heading then press Enter to end editing. CTRL-Enter again creates a sibling entry; SHIFT-Enter creates a child entry. Move entries around with the combination of the CTRL key and appropriate arrow key. Building an outline is pretty fast in this nimble outliner. You can hoist an entry using CTRL-PageUp; likewise CTRL-PageDown de-hoists the selection. And you can individually apply check boxes to entries. Outline hoisted to the Outer Planets heading with a couple of check boxes. If this were the extent of the outliner in CT, it’d stand fairly well with some of the other outliners I’ve reviewed. However, the real value of the CT outliner is how it integrates with the rest of the application. Let me back up a step here and note that outlines created in the outline window are separate, individual files. They are not a part of any of your CT projects (the CT term for a file or database). You can, though, link items in the outline with topics (the CT term for entries in the project) in the project with current focus. More than this, you can instruct CT to create a new topic linked to and with the same title as the selected outline item. The outliner (right) docked to the main window. 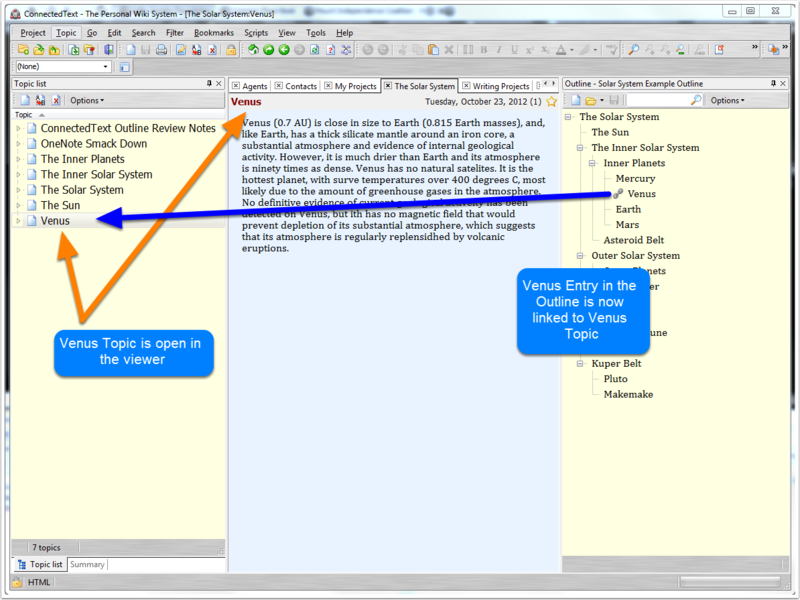 Now, when I double-click the “Venus” item in the outline, ConnectedText automatically creates a new topic in the currently open project, and a hyperlink is created between the outline and the project. 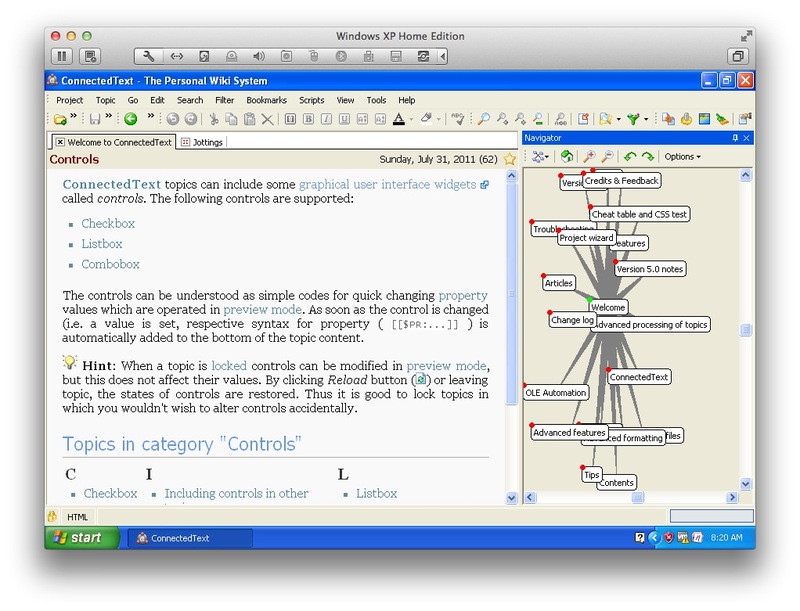 Items in the outline can be linked to topics in the open project. A note about the above screenshot: I added the text to the Venus topic, because unless you actually give a topic text, CT doesn’t end up creating it — although the link remains and you can always create it later. 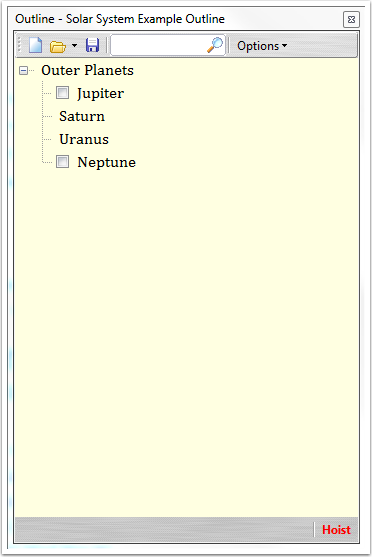 But you can see that there is now a Venus topic, and the Venus entry in the outline has a chain icon indicating that it is linked. You can manually link the selected outline item to the currently open topic, and you can drag topics into the outline to create a new item. The export options are simutaneously interesting and limiting. 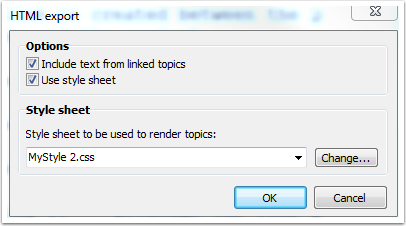 The interesting aspect is that if you export to HTML you can choose optionally to include the text from linked topics. You can optionally include contents from linked topics when exporting to HTML. The results of an HTML export with linked topic content included. The limiting part is that no such option exists for the plain text export, so you only get the barebones headings of the outline. 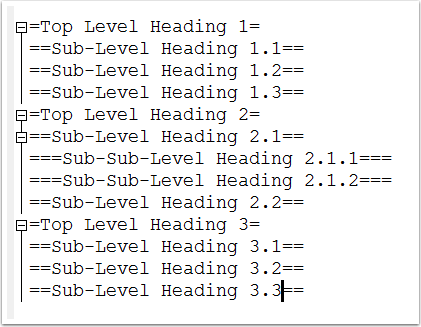 When exporting to plain text, you can only include the headings in the outline. and nothing else. I didn’t have the time to try to resolve this issue. If you know the answer, please let me know in the comments. I mentioned earlier that there are two ways of creating outlines in ConnectedText. The second way is by building a hierarchy of headings within individual topics. 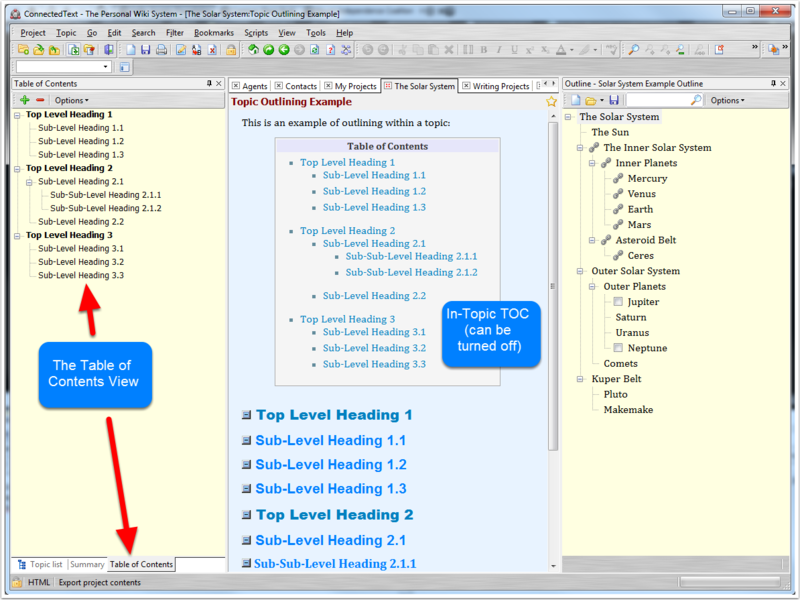 Building structure within a topic using the ConnectedText markup. This clipping is taken from the topic when in edit mode. It should be noted that you cannot currently drag the headings around in the TOC. 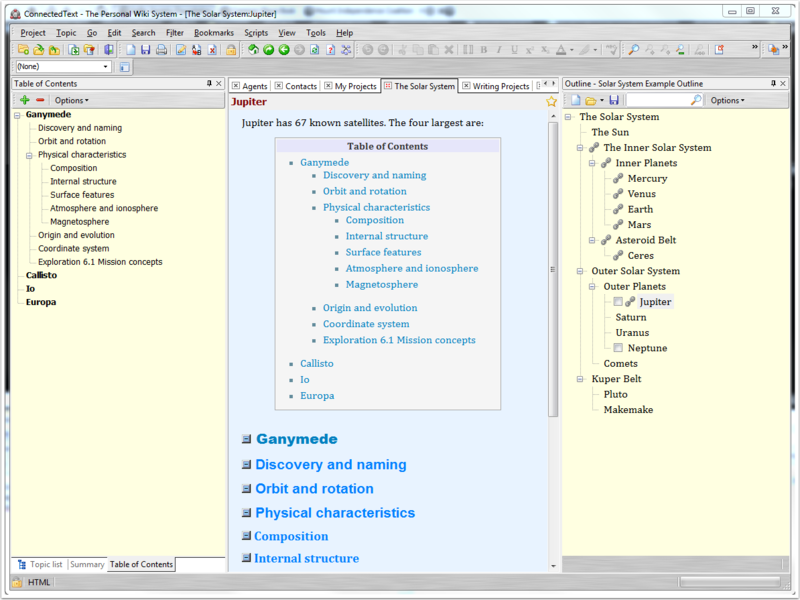 Its flexibility and integration, together with the ability to build outlines of outlines makes ConnectedText intriguing as an outlining solution. The limited export options and lack of labeling are drawbacks that give some of the other outliners an advantage, especially for writing. As a task manager, the outliner in CT could be quite effective, given its ability to link to topics and the check boxes which can be applied to individual outline items. 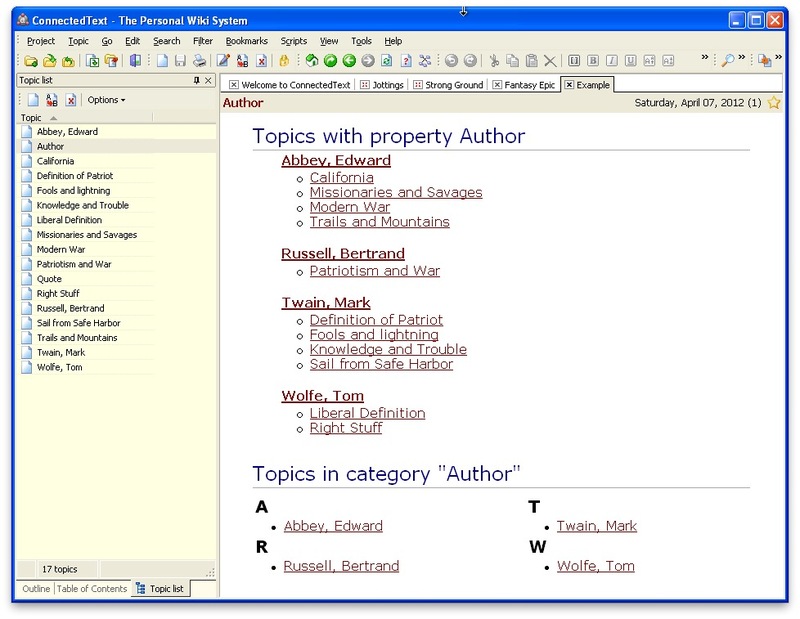 The developer of ConnectedText has continually been improving the application. In fact, this review was done using the latest beta edition of version 6.0. If he adds RTF export to the outline (with the ability to include linked topic contents), ConnectedText will be a killer writing application. As it is, it is still excellent. I’ve written here about a great personal wiki called ConnectedText. 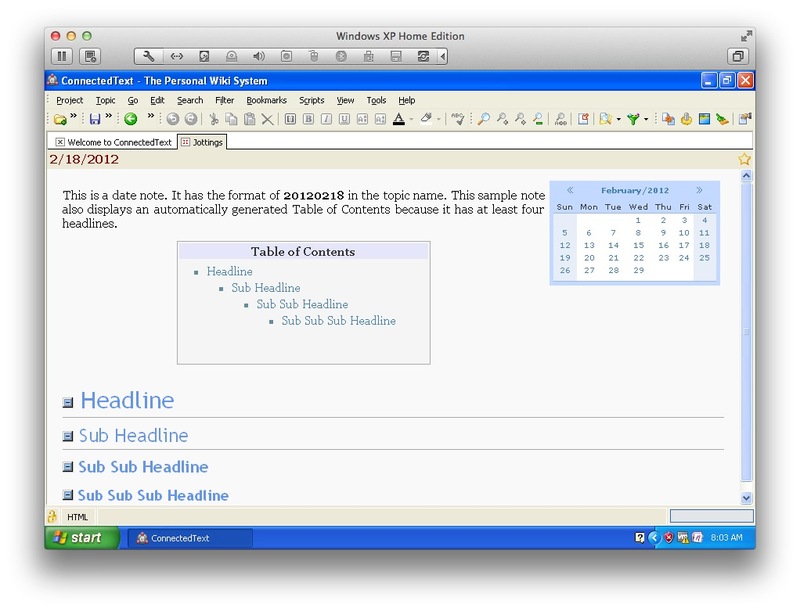 My review of a Mac personal wiki called VoodooPad is now posted at Mac Appstorm, which you will find here. I like VoodooPad a great deal. It is easier to use than ConnectedText, but is not as powerful. If you’re bi-OS and have always longed for the ability to do away with edit mode vs. the preview mode in ConnectedText, then you should give VoodooPad a try. There are many avid fans of the personal wiki ConnectedText, but none more so that Manfred Kuhn, who frequently blogs about how he uses CT. Manfred’s writing about the application are one of the reasons I persisted in working with it, for which I am thankful. Manfred recently posted an article that shows how easy it is to grasp CT’s most important features. 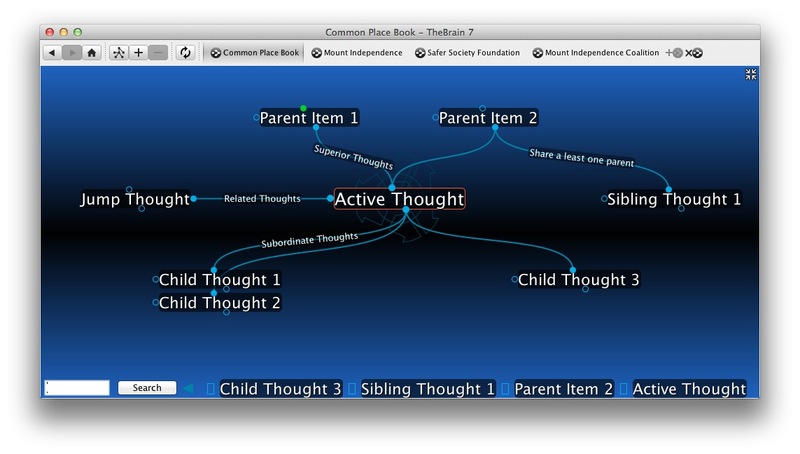 In my previous post about ConnectedText, I compared it to Tinderbox in the way that it requires the user to bring his or her own vision to the process. What I mean by this is that neither application forces any kind of structure or process to your information management. In each program, you have to identify your needs and create your own application. This also requires you to understand how the programs work and to have at least some basic knowledge of the esoteric “coding” required to make it do what you want it to do. This can be kind of intimidating for people like me who are not comfortable with scripting or coding. My message about Tinderbox has been that you can still do a lot with it just knowing a few basic concepts that are easy to understand. The same is true — actually more so, I think — with ConnectedText. I was able to prove this to myself yesterday when a friend at the outliner site asked for some advice about creating a database for quotations using CT. I got the feeling he was over-thinking the process a little, so decided to create a simple CT project for quotations to test my theory. This is the raw text in edit view for an entry in ConnectedText about the author Edward Abbey. This is a detail of a quote from Edward Abbey, again in edit view. Note that I’ve once again made use of the Category feature, designating this note as a “Quote.” I’ve also made use of another CT feature called Attribute. This note has two Attributes, one for the author of the quote and one for the theme of the quote. One thing important here is that I wrote out the author Attribute “Abbey, Edward” exactly as I had named Abbey’s author entry. You’ll see why this is important in a moment. This is the same quote about war, but now in preview mode. 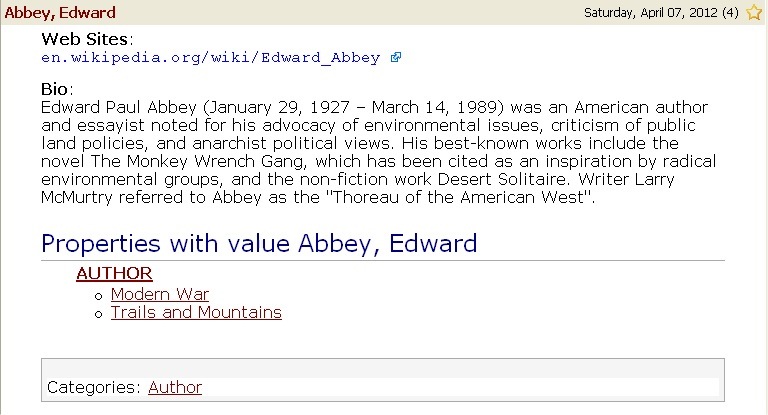 This is what my entry on Edward Abbey looks like rendered in preview mode, now with two associated quotations. Not only does CT automatically put in the links to each author page, it also includes links to the quotes associated with each author. (Note that I’ve added a few quotes since the earlier screen shot of the Abbey page to fill things out more.) Update: Just to clarify, the reason I get the top listing of authors with associated quotes along with the bottom index of authors is because I used the same exact phrase “Author” as the Category and as the Attribute. If I had called the Attribute “Source,” then I would only have the index in the Author topic. A new topic called “Source” would show the top list…. I hope that makes sense. There are, of course, innumerable ways this simple database of quotations could be made more sophisticated, such as adding source information and altering some of the information rendered by ConnectedText. I just wanted to demonstrate how easy it is to make ConnectedText useful with just a basic understanding of some of its concepts. I had to do very little in the way of “coding” (I’m not even sure that’s the right term for this). I just had to know the proper syntax for creating a Category ( [[$CATEGORY:value]] ), and an Attribute ( [[name of attribute:value of attribute]] ). That’s it. ConnectedText does most of the rest. I’ve written a few times about PersonalBrain, an information management application from TheBrain Technologies. The most recent version of PersonalBrain is 6.5, but the company is very close to releasing version 7, and this represents kind of a new chapter in the application’s development. Version 7 is still a stand alone desktop application, but it is much more connected with WebBrain, the service that allows you to view your “brains” online and synchronize them across your computers. As such, the program will go back to its original name, dropping the personal to become TheBrain once again. Where three options were available before — the free, core and pro editions — the company is dropping the core edition, but has lowered the price on the pro edition from $249 to $219. They are also offering annual subscriptions, which include all updates to the application and WebBrain access for $159. If you already have a license and a WebBrain subscription, the upgrade price is pro-rated. I just upgraded. Though still in beta, version 7 is very nearly ready for official release and seems quite stable. Aside from whatever under-the-hood changes have been made to make TheBrain and WebBrain work better together, the major addition to version 7 is what you can do with links. The calendar has also been improved to the point where I am actually starting to use it. I’m not going to go into all the changes, but you can read about them here. I find it nearly ideal for connecting bits of information, but don’t see it as useful for teasing out connections and structure over time when the information has some depth or complexity to it. Maybe I’m selling it short. I do not think he is selling it short. This is my sense too. TheBrain is a great store house for information of all kinds. It is unparalleled in connecting related information. But it isn’t so great for garnering insights from previously unrelated information. In other words, if you didn’t think about the connections at the time you were adding the data to your brain, you’re not likely to come to some ah ha moment later. This is not a criticism of TheBrain, just an observation. And, while ThBrain’s main interface (called the Plex) is very versatile in a lot of ways, it is also very rigid. 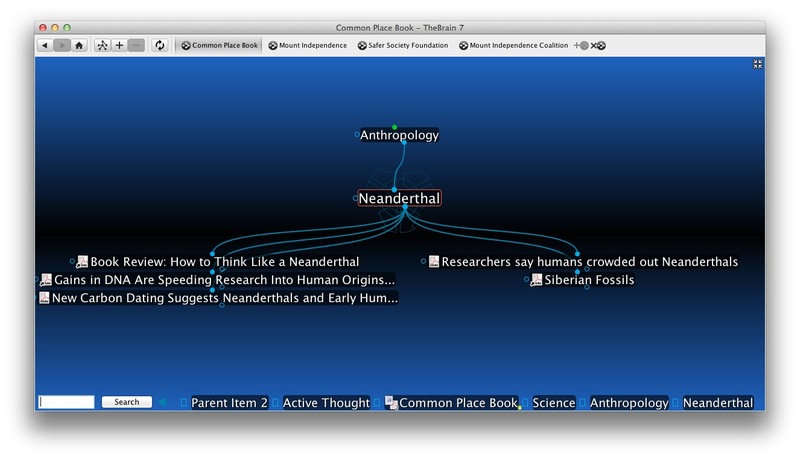 I’m thinking of the Map View in Tinderbox, where you can freely move your information around to try out various associations. Applications like DevonThink and ConnectedText have functions that try to draw associations among your information that you may not have noticed. Scrivener has it’s scrivenings and cork board views. Those are examples of applications with functions that facilitate the thinking about, the comparing, the merging and unmerging of text/information so that you can take it from one form and transform it into something more. TheBrain doesn’t really do that, and I don’t think it is really intended to, though the developers might disagree. I may be getting beyond the comfort zone of my wisdom/knowledge of these topics. Mostly I’m trying to understand my sense of the limitations of TheBrain (and by extension, of other applications like it). You could just as easily chalk this up to my working/thinking style. That is, everyone’s experience will be different. Link child Thoughts — topics that flow from the Thought. Link parent Thoughts — topics from which the Thought flows. Link related or jump Thoughts — topics related in an unhierarchical way. Add notes in the Note tool. Attach as many URLs as you’d like. Attach almost any type of file: spreadsheets, text documents, PDFs, pictures, etc. Give the Thought a Type — make all urgent Thoughts red, for example. Give the Thought multiple Tags — Tags allow you to quickly find Thoughts that share a Tag. Use the calendar to associate date-specific events. 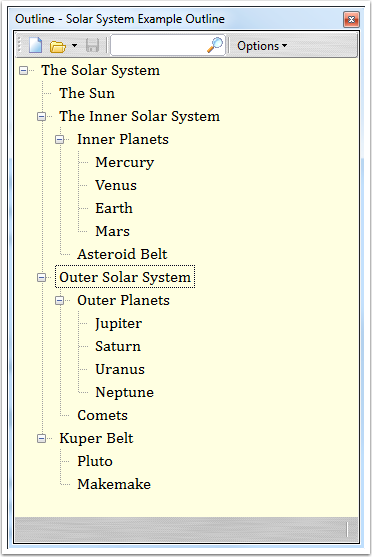 Use links to define special relationships among the data. I’m undoubtedly forgetting some. But the point is, if you are working on a project, TheBrain makes a perfect repository for collecting all the information you need to properly manage that project. It also makes a great archive for stashing information — as long as you can find a place to put it in your Brain. My day job Brain. I use this Brain to collect and organize resources I need to do my job. I don’t use it much for actual note-taking (see below). My Commonplace Book Brain. This is my organized stash of information, tidbits I want to keep for future reference. For example, I have a curiosity about Neanderthals, so whenever I come across an interesting piece of information about these relatives of Homo Sapiens, I drop it into the Neanderthal Thought. A Brain for my “other” job. This is a Brain for organizing information related to a nonprofit historic organization of which I am president. You’ll notice that I didn’t mention note-taking as a use for any of those Brains. I don’t think TheBrain is a good note-taking environment. If you read my previous blog article, you’ll know that I’ve started using ConnectedText for managing my day notes at my day job. I could do this in TheBrain, but I find CT a more fertile environment for writing out my thoughts. I also like CT better for logging notes about projects, because all notes are more easily viewable in one topic. 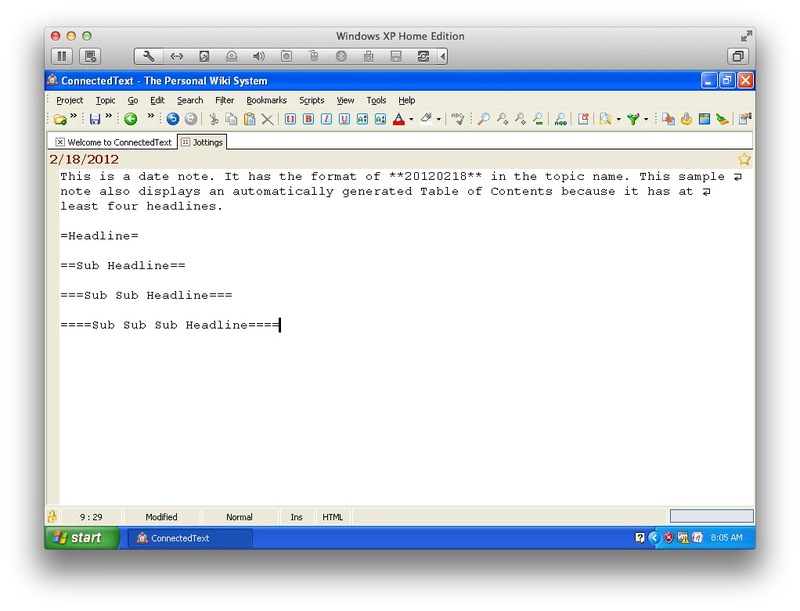 The note editor in TheBrain is one of the weaker aspects of the program. It’s good for quick, short notes, but not so much for longer text. The nice thing is that I can provide links back and forth between CT and TheBrain (“C.T. and The Brain” — sounds like a cartoon), so I can leverage the advantages of each program. Of course, the whole system is a work in progress. And in my non-work life, I have been using Tinderbox to keep a Day Book. All this probably sounds complicated, but believe me, if my organization system really were this straight forward, I’d be happy. I’ve also got information residing in a number of other useful applications… but if I start to list it here I may start to cry. This amalgam is due in part to that CRIMP thing I referred to before, but it is also because I live in the Mac world at home and in the Windows world at work. And that’s another reason I love TheBrain. It is one of the few applications that works just fine on both platforms. Using WebBrain I can keep my three key Brains in sync, and that is a really big relief for me. This has been a bit of a rambling, undirected article, but if there is one point to be made about TheBrain it is this: I think of it as a super-charged, even magical Finder/Windows Explorer. It is a substitute for the file system on my computers, at least for very specific types of information. *CRIMP stands for Compulsive Reactive Information Manager Purchasing, a mythical malady that those of us who feel compelled to try every piece of information management software use to explain/describe our behavior. See some CRIMP in action (and learn the inspiring stories of those who have over come it) at OutlinerSoftware.com. ConnectedText is a personal wiki and then some. ConnectedText is a personal wiki. But it is much more than that. It is packed with functions that help you manage and make sense of your information. CT can be a database, a notebook, a knowledge base, a journal and more. It is freeform, but you can impose structure if you choose. The developer has loaded CT with many thoughtful features. The program feels rock solid to me. I probably do not need to define what a wiki is. Anyone who has used Wikipedia knows, and who hasn’t used that ever useful online knowledge base? The idea of a personal wiki has appealled to me since I first heard about the concept, but the applications I tried never seemed to live up to my expectations. Even CT didn’t click with me when I first bought a license several years ago. But earlier this year (2012) I decided to make the commitment to ConnectedText for recording the day to day activities of my job. I’d been trying to do this with a number of different applications, all to various degrees of failure. I work on a Windows PC, so my favorite Mac applications were not available. There are some very good information management applications for Windows: OneNote, PersonalBrain and Zoot foremost among them. But I found none of these made the job of recording daily information satisfying — which is the same as saying I didn’t do a very good job of it. But with ConnectedText I’ve finally found my solution. So what was it about ConnectedText that finally won me over? I’ve been trying to figure this out and think I’ve finally come up with the answer. It’s all in the name: Connected. Text. Let’s start with the second part: Text. I like writing in CT. It isn’t a robust editor, not by word processor standards. 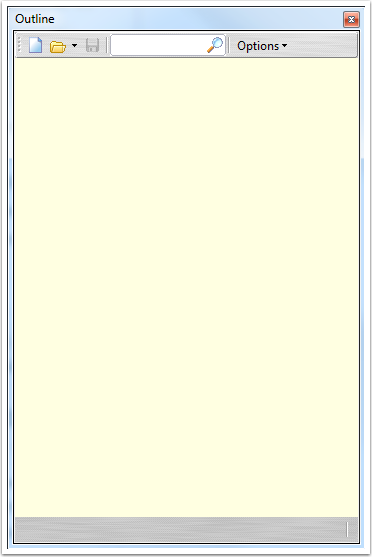 But it is nice and clean, just like another editor I like to compose in, NoteTab. The plain text environment has fewer distractions. It’s just a piece of paper in a typewriter (with some marvelous additions that I’ll get to shortly). There are two modes for any CT topic (CT’s word for a note): edit mode and view mode. You need to be in edit mode to make changes to the topic. You toggle back and forth quickly with a hot-key combination of Alt-E. The two screenshots above are of the same note. The first is in View Mode and the second is in Edit Mode. Of course, if CT was just an editor, it wouldn’t be any more powerful than NoteTab. But that gets us to the “connected” part of this review. First of all, being a wiki, CT uses a simple mark-up language to create formatted text in view mode, and to do some marvelous things with my information. This is what I first had trouble getting past when I started trying to use CT. To make a word or phrase bold, for instance, you bracket it with double asterisks. I’m still exploring and learning this mark-up code, but just about any formatting you can apply in a word processor can be applied to text in CT. Yes, I know, I haven’t actually gotten to the “connected” part yet, but here it is. 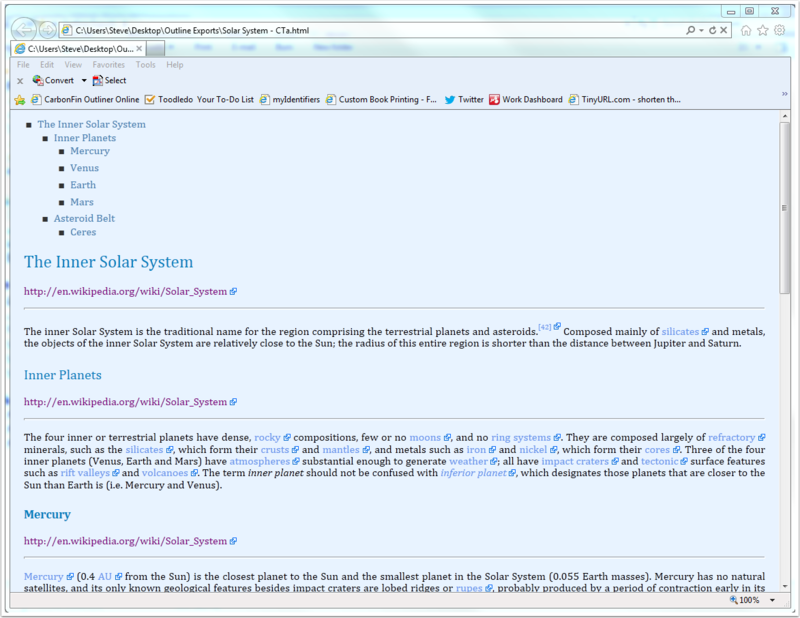 You also use mark-up to establish links to other topics, or to create new ones. Just enclose any text in double-brackets and you’ve enabled a link. If the text inside the backets exactly matches an existing topic’s name, the link will be complete. If it is a new topic, that topic will be created the first time you click on it. In this way, you can grow your web of information without interupting your writing. Just make your links as you write, then go back and fill in the information. In an outline-style application, you would have to stop writing, find the place in the structure you want the note to reside, create the entry, go back to your original note to pick up where you left off, then remember to go back to the new note to fill in the information. So far I’ve described any run of the mill wiki. But ConnectedText is loaded with powerful features that make it a more robust information management system. 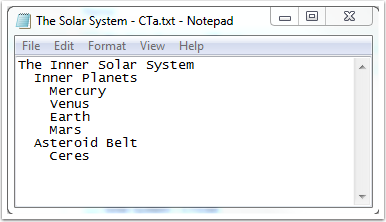 For example, there’s the date topic, which is any topic name that contains a date in the special CT format. This format is yearmonthday in numbers. So February 18, 2012, would be rendered as 20120218. Date topics automatically display a small month calendar in the top right corner of the screen when in view mode. This little calendar is now the key to building a journal or diary, because every date in the calendar is a wiki link. Another smart feature of CT is how it handles headlines. When you bracket text in equal signs (the first of which has to be the first character on the line for this to work), you tell CT to see the text as a headline. Single equal signs on either side of the text indicate a top-level headline. You can create sub headlines by adding equal signs to the mark up. As you would expect, CT displays these headlines in differentiated text. It also includes a disclosure button so that you can roll up the text beneath a headline. Any topic that has four or more headline’s automatically displays a table of contents above the first headline for quick navigation to any part of the page. sets the attribute birthday to 7/7/1956. This is useful if you have a set of topics with the same attributes of different values that you would like to be able to query or display in summary tables. I’ve only brushed the surface of the things you can do with your information using ConnectedText. The developer, Eduardo Mauro, has built in many thoughtful features. A really great example is that you can select any amount of text in one topic and with a simple command have ConnectedText pack it off to a new topic leaving a wiki link in the original topic. So if you’re on a roll, just keep writing your thoughts into one topic, then go back and quickly “granularize” it. I’ve written a lot about a terrific Mac application called Tinderbox. In many ways, ConnectedText makes me think of it as the Tinderbox for the PC. No they do not look alike or even behave alike. But both or remarkably flexible note management systems that you can grow into as you learn more and more about them. But they are both very useful even if you don’t learn all the power functions from the start. Both provide useful and varied views of your information. For instance, both applications give you a visual as well as a textual reference for your notes — though Tinderbox is much more sophisticated in this aspect. Both provide outlining functions. Here’s the difference to me: I would choose ConnectedText for writing, and Tinderbox for analysis. Anyway, I hope to write more about ConnectedText in the coming weeks. In the meantime, an excellent source of information about CT can be found on the web site Taking Note.